Subspecialties: Skull base tumor surgery, epileptic surgery, Neuro-Oncology, pituitary tumors surgery, functional neurosurgery (epileptic surgery, stereotactic surgery, psychosurgery movement disorders), spinal & cervical fusion surgery. Years of experience and number of successful surgeries: More than 30 years of experience and over 30,000 surgeries. 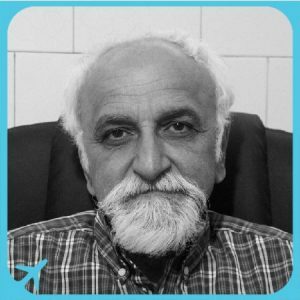 Born in 1951, Dr Mousa Taghipour Bibalan is currently one of the most remarkable professors of Neurosurgery in Iran. 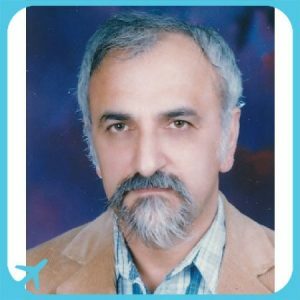 In 1977, Dr Taghipour graduated from Esfahan University of Medical Sciences with the degree of Medical Doctor. Ten years later, in 1987, he was able to become certified and receive his national board in Neurosurgery. The 1990s was the decade that brought Dr Taghibour the honor of the prestigious fellowship in skull base tumor surgery, epileptic surgery and stereotactic surgery and since then, Dr Taghipour has been serving patients and the medical community at Namazi Hospital in Shiraz. Numerous successful brain surgeries testify to Dr. Taghipour’s professional expertise, achievements that not a lot of medical professionals have been honored with. Justice can hardly be done when it comes to reflecting on Dr Taghipour’s academic and professional achievements; yet mentioning some out of a multitude of publications, both in the form of papers and books, executive posts, successful and groundbreaking surgeries and other such honors seems to suffice for the purposes of this brief introduction on this noted Surgeon. From 1987 to 2001, Dr Taghipour served as assistant professor of neurosurgery at Shiraz University of Medical Sciences (SUMS) followed by seven years as an associate professor of neurosurgery at the same university. The year 2008 seems to have been a turning point as Dr Taghipour was promoted to professor of neurosurgery at that year. He currently holds the same status at SUMS. In terms of executive posts, Dr Taghipour has the experience of being the chairman of Neurological Surgery Department of Shiraz University of Medical Sciences from April 1997 to 2006. Furthermore, he was appointed the chief of Neurological Surgery Center in Beheshti Hospital from 1987 to 2001 and that is to say nothing of other prestigious posts held by Dr Taghipour at various other junctures during his service to the medical community. As a researcher, Dr Taghipour has published widely on diverse subjects such as neural stem cells, neurosciences and brain plasticity, tumor merkers, to say little of his academic and research interests and achievements. He has also penned some books in collaboration with other noted professionals of the field. The list of Dr Taghipours publications is a relatively long one which suggests at his academic respectability and distinguishes him as a researcher in addition to a highly-achieved surgeon. MD, Isfahan University of Medical Sciences, Isfahan, Iran, 1977. General Physician, Emergency clinic of Zabol hospital, Zabol, Sistan & Baluchestan province, 1977-1979. Member of the board of directors of the Neurosurgical Society of Iran, since 1998.